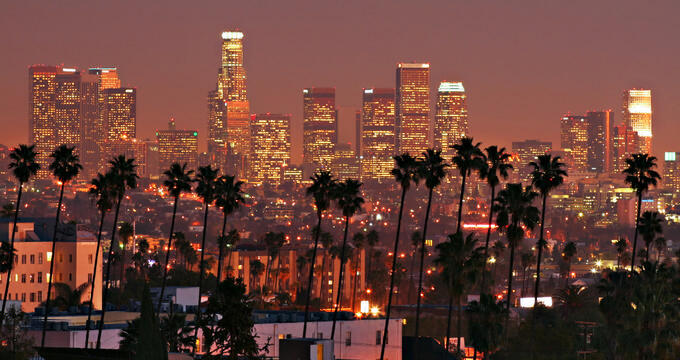 Whether you’re headed out for a night on the town or looking for somewhere to relax with drinks after catching a live performance at one of LA’s legendary live venues, these intimate cocktail bars, sleek rooftop lounges, and lively dance clubs offer a true taste of the Los Angeles nightlife experience. Avalon is a historic nightclub in Hollywood, California located just across the street from Capitol Records Building. It is housed in the Spanish Baroque style building designed by the architectural team of Henry L. Gogerty and Carl Jules Weyl, and it opened its doors for the first time in 1927. Avalon is today one of Hollywood’s most popular clubs, frequently featuring top DJs and popular new bands. The spacious club has a big dance floor and a full stage in front. There is a smaller room next door with large leather booths and sparkling chandeliers, its own small dance floor, and its own line-up of DJs. That smaller space becomes After Dark club on Fridays after 2 am when Avalon closes. On Saturdays, Avalon is open through the night. On other nights, the Avalon hosts outside concerts and special events. 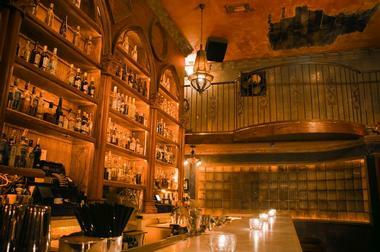 Upstairs from Avalon is Bardot, a lounge, restaurant, and dance club with a warmer, more intimate atmosphere. Boardner's by La Belle is a historic local hangout that was constructed in 1942, showcasing an unpretentious vibe that attracts A-listers and neighborhood visitors alike. The vintage-style club offers an Art Deco-style bar in its B52 Club area and high-definition televisions in its casual Social Room. Lunch, dinner, and late night menus are offered, serving bar bites and casual entrees. Its hip nightclub offers two bars, a large dance floor, an exclusive VIP loft that overlooks the entire bar and venue area. It is a popular spot for parties, weddings, and on-location filming and may be rented for private special events. A New Orleans-style patio is open seasonally for lounging and relaxing, showcasing live music performances periodically. The Conga Room is one of Los Angeles’ most exclusive nightlife venues, opened in 1998 by a team of owners that included actor Jimmy Smits and singer Jennifer Lopez. 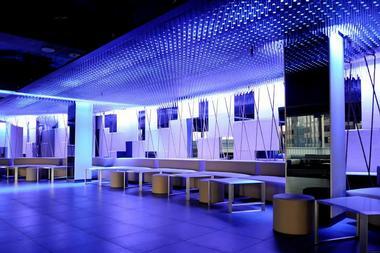 The venue was designed by Belzberg Architects and is located directly across from the downtown Staples Center, serving as the city’s premiere pan-Latino nightlife destination. The club has hosted major record launches, high-profile special events, awards shows, and after-parties throughout its existence, including the press conference for the announcement of the 2001 Latin Grammy Award winners. Its 15,000-square-foot complex offers three bars, a dance floor, a full-sized stage, and a restaurant curated by Wolfgang Puck sous chef Ricky Lopez. Crocker Club is located within Los Angeles’ old Banking District in the Spring Arts Tower, which was originally constructed in 1914. 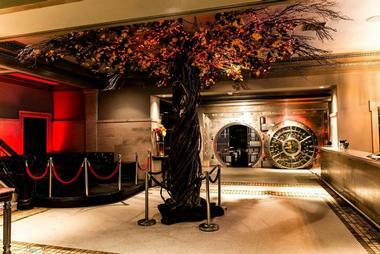 The posh club retains the building’s 1920s-era decor, including a multi-ton stainless steel bank vault door that was constructed by the Mosler Safe Company that serves as an entrance to the club. Bar bites are served nightly, including sliders, pizza, and shareable appetizer plates, and a craft cocktail menu highlights fresh fruit ingredients. 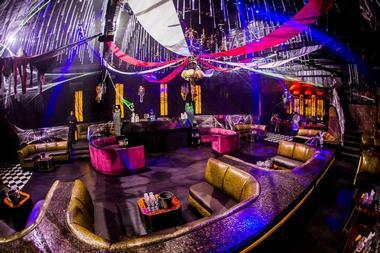 A VIP stage is available for exclusive seating, and a dance floor hosts theme nights and guest DJ sets. The club’s Ghost Bar area also offers seating and is reputed to be haunted. Elevate Lounge is a stylish penthouse nightclub that offers unparalleled views of the Los Angeles skyline from a height of 21 stories. The club is noted as the set for Britney Spears’ 2008 music video for her hit song “Womanizer” and showcases indoor and outdoor seating areas with sleek modern ambiance. Private VIP seating with bottle service is available, along with a dance floor showcasing state-of-the-art lighting and sound effects. 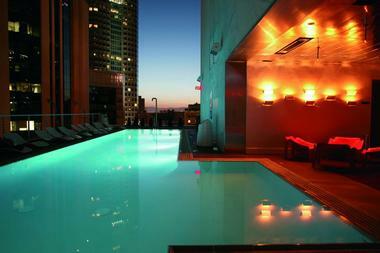 Top 40 and electronic music are played nightly, and valet parking is available for a low rate. The venue is available for rental for private special events, including corporate events and holiday parties. Hollywood Club Crawl is the Los Angeles region’s longest-running club crawl service, taking the hassle out of experiencing Hollywood’s top nightlife since 2009. 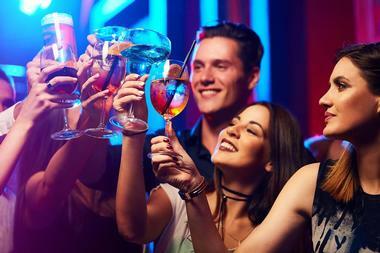 The service helps individual partygoers and small groups skip clubs’ long lines and hefty cover charges and enter clubs right away for the best night out possible. Patrons are grouped into crawl groups of 50 to 100 clubgoers and visit four top clubs throughout the Hollywood region throughout the course of the night for a small upfront cost. The service is highly recommended for wedding parties, birthday groups, and other small groups, offering personalized ticket links for attendees. 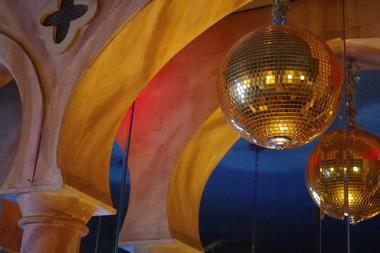 Akbar is an all-inclusive nightlife spot that welcomes everyone in the Silver Lake community as they are. The laid-back, playful bar and nightclub is a popular hipster and LGBT hangout for bar-goers looking for a change from the fast-paced glamor of the West Hollywood scene. It offers cheap and satisfying drinks, eclectic decor, a casual dance floor, and one of the city’s favorite jukeboxes. Weekly events include comedy nights and live music performances, with guest DJ sets, themed nights, and film and television showings presented periodically. The bar is also the host of CraftNight events, which have run for more than 15 years and allow patrons to work on arts and crafts projects while they drink. Hyde Sunset Kitchen + Cocktails is a swanky restaurant and cocktail bar that is located along an iconic stretch of the city’s Sunset Strip, offering the best in Hollywood nightlife hospitality. The club was envisioned by famed designer Waldo Fernandez and art curator Guy Hepner and has become a favorite among regional foodies and nightlife enthusiasts for its seasonal California cuisine menu and unique craft cocktails. It has hosted notable high-profile events for celebrities such as Justin Bieber and Jennifer Lopez and has been the site of the annual NYLON Young Hollywood party. Menu options highlight creative New American fare, with an extensive wine and beer list available for pairings. La Cita Bar is an award-winning Latin bar and dance club that has received accolades from publications such as the Los Angeles Times, LA Weekly, and Esquire, who have twice voted it as one of America’s best bars. The laid-back club offers a wide variety of weekly specials and events, including movie nights on Wednesdays and after parties for the Los Angeles Derby Dolls roller derby club on Saturdays. Pizza is served by famed chain Two Boots Pizza, and punk and Latin music performances are showcased periodically. Flat-screen televisions showcase major sporting events, and punk and reggae-themed dance nights draw an eclectic crowd. 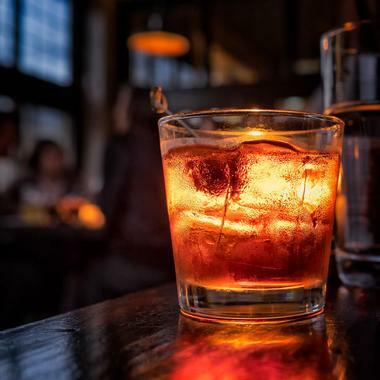 La Descarga is operated by nightlife proprietors Mark and Jonnie Houston, who are known for their themed Los Angeles speakeasies such as Dirty Laundry and Good Times at Davey Wayne’s. The bar is located in an East Hollywood apartment building that seems unassuming from the street but transports patrons to 1940s Havana inside, showcasing decor at the intersect of opulent Old Hollywood splendor and urban decay. 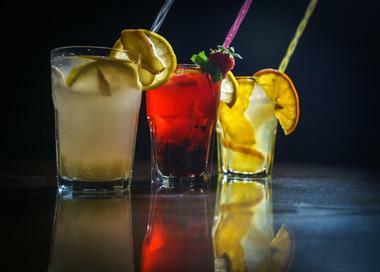 Craft cocktails are served at the club, which also offers a vintage cigar lounge and live performances on Thursday, Friday, and Saturday nights from burlesque salsa performers. Visitors should note that a strict dress code is enforced for patrons. Library Bar a scholastic-themed downtown hangout that showcases academic decor such as collegiate-style leather couches, taxidermy walls, and a full wall of weathered books. The bar and gastropub offers a menu full of globally-influenced fusion cuisine, with selections such as Hawaiian poke, chorizo sliders, edamame hummus, and the bar’s signature kobe beef Library Dogs, which are smothered in giardinera. Patrons order off a chalkboard menu, which highlights the bar’s rotating specials and regular menu items. Its ever-changing cocktail menu showcases creative drinks named after literary references, while a large craft beer selection highlights regional and local bottle favorites. Medusa Lounge is an Eastside nightclub that showcases decadent Gothic decor creating an out-of-this-world fantasy vibe, with stained-glass and wrought-iron decor elements and over-the-top chandeliers. The lavish club offers artisan cocktails and 11 craft beers on tap for patrons to enjoy. A lounge menu serves small bites and burgers, along with creative fries and desserts. Its intimate dance floor hosts DJ-led dance parties and conceptual theme nights, including cosplay events and Culture Clash Friday parties that blend hip-hop and reggae beats. Art shows are also showcased at the club periodically, giving it a reputation as a hip bohemian spot. 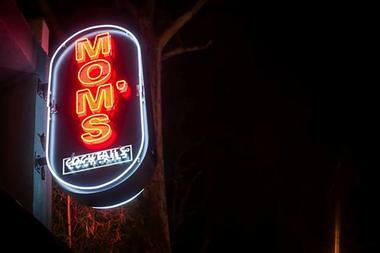 Mom's is a popular Westside hangout that strives to provide a classic neighborhood lounge atmosphere, modeled after collegiate sports bars. The bar is home to a spectacular happy hour that is available seven days a week and offers free servings of its homemade garlic lemon spicy potato chips to all patrons. A ping pong table, pool table, and classic photo booth are provided for visitor entertainment, and rotating food truck pop-ups are hosted at the bar on Friday and Saturday nights. 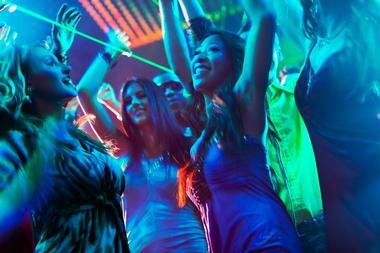 At 9:00 on weekend nights, the bar transforms into a dance club, offering DJs spinning popular tunes and hip beats. The bar is available for private special event rental for large and small parties, including corporate events and wedding parties. Project Club LA has been named as one of Hollywood’s top ten hottest nightclubs and is known for its appearances on the legendary Saturday Night Live variety and comedy show. The club is managed by Boulevard Nightlife Group and offers 8,500 square feet of indoor nightclub space, showcasing a state-of-the-art sound and lighting system constructed by V Squared Labs and Funktion One. It is known for its hip, elite dance floor and sophisticated crowds, which often feature A-list musicians and celebrities. 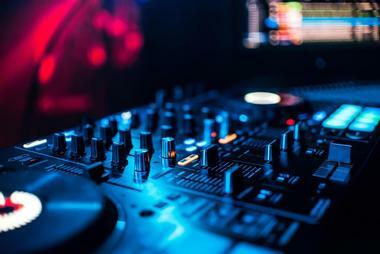 World-renowned DJs spin hits all night long, and an outdoor patio allows guests to relax in luxury. Table service at the nightclub is strongly recommended for patrons. Seven Grand was opened in 2007 by Los Angeles company 213 Hospitality and showcases one of the largest menus of premium whiskeys in the American West, displaying its bottles in custom cases designed by original building owners Brock and Co. Jewelry Emporium. The stylish bar showcases decor inspired by classic hunting lodges and serves handcrafted cocktails. Live music is showcased periodically, and pool tables and private lounge areas are offered for guests. The bar is known for its Whiskey Society membership program, which offers guests the opportunity to partake in exclusive tastings and education by notable members of the whiskey industry. Since 2014, the bar has also operated the adjacent Bar Jackalope, a Japanese-themed whiskey bar showcasing international whiskeys. Sound Nightclub is a hip underground club that is one of Los Angeles’ premiere spots for deep house music, showcasing the talents of renowned techno DJs such as Afrojack, Kaskade, and Markus Schulz. The intimate venue showcases an industrial vibe, highlighting California redwood design elements and furniture, including decor salvaged from legendary crooner Frank Sinatra’s house, and offers a spacious sunken dance floor with a cutting-edge audiovisual system. Rotating art installations are showcased at the club, which offers bottle service and bar bites inspired by international street foods. The venue is available for private special event rental, with an in-house production team available to organize catering and decor. The Argyle is housed within the former Tru nightclub space and offers a bi-level bar and lounge that blends 1920s-era European and 1960s-era American decor. The combination lounge and nightclub is a relatively new entry to the city’s nightlife scene and has become a favorite hangout for hip young celebrities such as One Direction’s Louis Tomlinson. It offers a downstairs cocktail den with library-inspired decor that serves craft cocktails and bar appetizers. Upstairs, its nightclub venue showcases the city’s only two-story VIP booth, along with a lively dance floor that showcases state-of-the-art lighting. 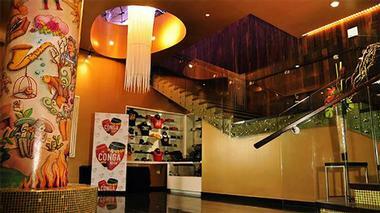 The venue may be rented for private special events, including wedding parties and corporate events. 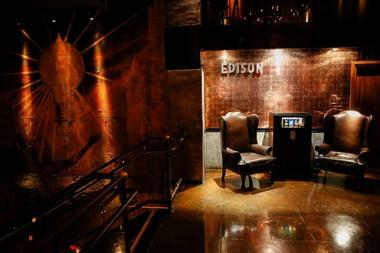 The Edison is located within the renovated basement-level power plant facility of the historic Higgins Building in Los Angeles’ downtown area, offering an immersive steampunk-themed nightlife opportunity. The space was recovered by proprietors Marc Smith and Andrew Meieran and converted into a post-industrial cocktail bar accessible via a speakeasy-style alley entrance. Artisanal flatbreads, shareable appetizers, and globally-inspired throwback entrees are served by the bar’s kitchen. 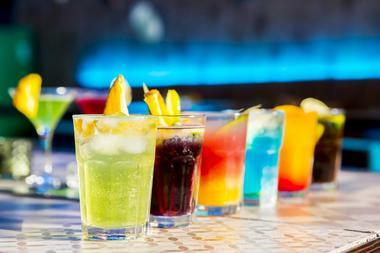 Retro-style cocktails are highlighted on the bar’s drink menu, along with an extensive wine, craft beer, and fine liquor list. On Thursdays, live music performances are showcased, and on Fridays and Saturdays, sets from guest DJs turn the space into a dance floor. 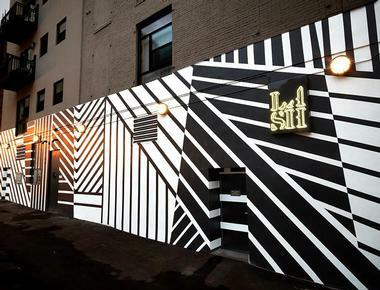 The Lash is a concept bar and performance space that was designed by musician Ross O’Carroll and visual artist Erik Hart, with assistance from Hart’s studio Atelier/Projects. 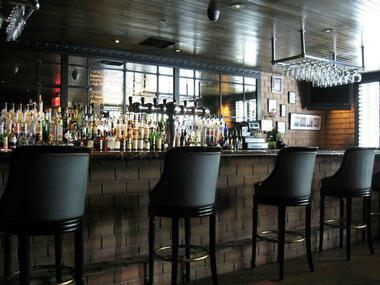 The European-style nightclub showcases edgy design elements such as chipped subway tile paneling and bleacher seating at its bar, which offers craft cocktails and an extensive wine and beer list. In its party room, a series of cracked mirrors amplify a chrome disco ball, creating a dark, hidden-away dance floor spot. The club is home to a number of weekly events, including LGBT-friendly Mustache Mondays, techno rave Heav3n, and throwback ‘90s Goth Klub events. The Reserve is located in one of the city’s oldest bank spaces within its Historic Core, which dates back to 1924. The former Hellman Commercial Trust and Savings Building is now home to an upscale nightclub envisioned by Eric Cloutier, which offers unique cocktails and old-school elegance in the bank building’s Beaux Arts-style basement space. Three full bars serve monetary-inspired drinks with farmer’s market ingredients, and a kitchen serves creative bar bites, sliders, and burgers. Wednesdays bring live performances by local singers and performers, while two fully-equipped DJ booths turn the club’s dance floor into a weekend party environment. The Rooftop is located atop The Standard hotel, offering beautiful panoramic views of the Los Angeles skyline and the nearby San Gabriel Mountains. The bar is accessible for hotel guests and nightly patrons alike, enforcing a sophisticated dress code and drawing a lively 21-and-over crowd during the evenings. Menu service at the bar begins at noon daily, with casual New American brunch, lunch, and dinner fare offered, along with an extensive wine, beer, and cocktail menu. A dance floor showcases tunes spun by nightly guest DJs, and a large heated swimming pool areas offers waterbed pods and an outdoor fireplace. The Room Hollywood was established in 1993 by the creators of Hollywood’s Burgundy Room and has been a mainstay of the Los Angeles nightlife scene ever since, offering a sophisticated lounge environment with a hip-hop focused dance floor. 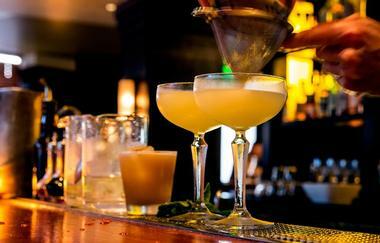 The low-key bar focuses on substance over trend, creating an intimate, sultry atmosphere for clubgoers. Table reservations are offered in a number of exclusive VIP areas, including the club’s Sinatra Suites, Rat Pack Tables, Etta James Booths, and intimate Madonna’s Table. Resident DJs spin old school classics, hip-hop and soul hits, and top 40 tunes on Fridays and Saturdays, with themed special events held other nights of the week. 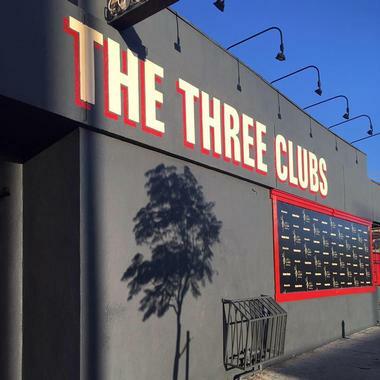 The Three Clubs is a longstanding local Los Angeles hangout, opened in 1991 by nightlife proprietors Matthew Webb and Marc Smith. The classic martini lounge is most famous for once employing an up-and-coming Renee Zellwegger as a bar back and serving as the filming location for the feature film Swingers. It showcases an Old Hollywood vibe with casino-style carpeting and rich mahogany detailing and has been named as Hollywood’s Best Bar by LA Weekly. 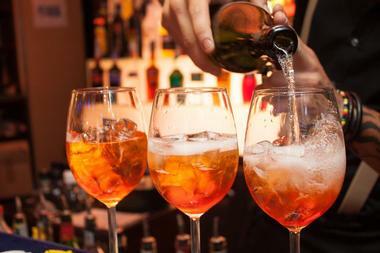 Creative classic cocktails are served, along with a rotating draft beer menu and house wines by the glass or bottle. Live entertainment is showcased throughout the week, including music, cabaret, and burlesque performances. The Varnish opened to much acclaim on the Los Angeles nightlife scene at its 2009 opening by Eric Alpern of 213 Hospitality, in conjunction with Cedd Moses and New York City’s Milk and Honey owner Sasha Petraske. It is located within a refurbished storage room area of Los Angeles’ famed Cole’s: The Originators of the French Dip Sandwich public house and has taken the top award at the prestigious Tales of the Cocktail Spirited Awards in New Orleans. 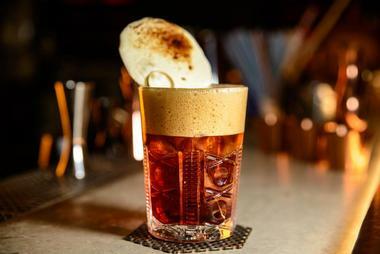 The Prohibition-style speakeasy serves craft cocktails concocted by some of the city’s most renowned bartenders, with twists on both classic and modern favorites. Upstairs Bar at the Ace Hotel is designed to evoke the atmosphere of Hollywood’s famed Les Deux Cafe, towering over downtown Los Angeles’ Ace Hotel and providing spectacular views of the city’s skyline. The hip rooftop bar and lounge offers two terraces, with one centered around a bar serving fresh cocktails, beer cans, and creative bar bites, along with a full weekend brunch menu. The other terrace offers a rooftop pool and lounge area that transforms into a hip club during the late night hours, offering guest DJ sets and performances by live musicians. Public special events are also hosted at the terrace, including book release parties, pop-up shops, and other creative collaborations among the city’s artistic elite.